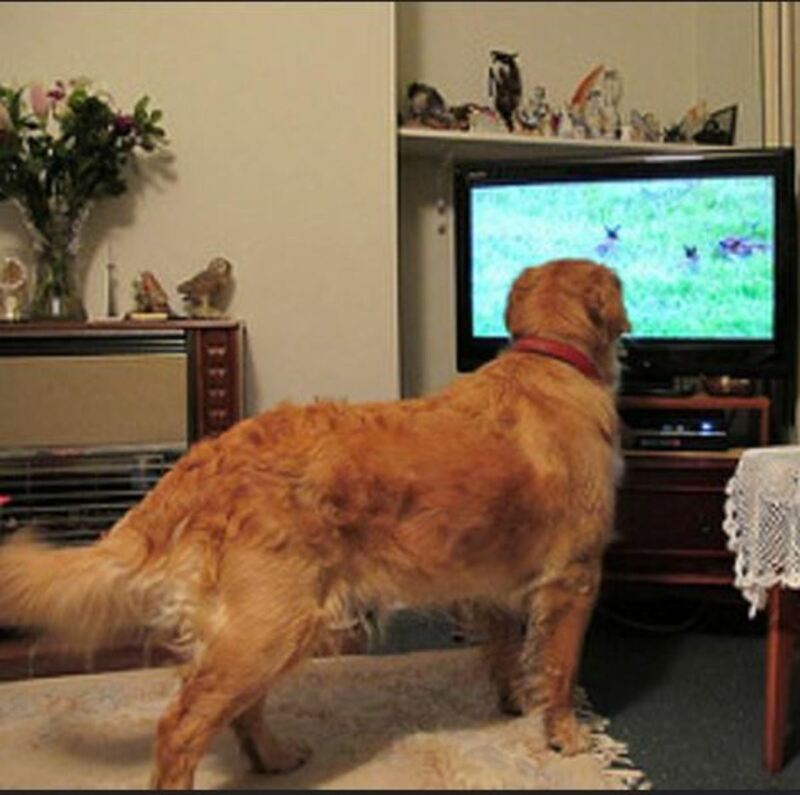 First, How Do Dogs Perceive the TV? Watching your favorite TV show is your way to relax, but what can you do to keep a dog from barking at the TV? The problem can be quite annoying, especially when you have a very vocal dog who has decided to bark at just about anything showing on the TV. 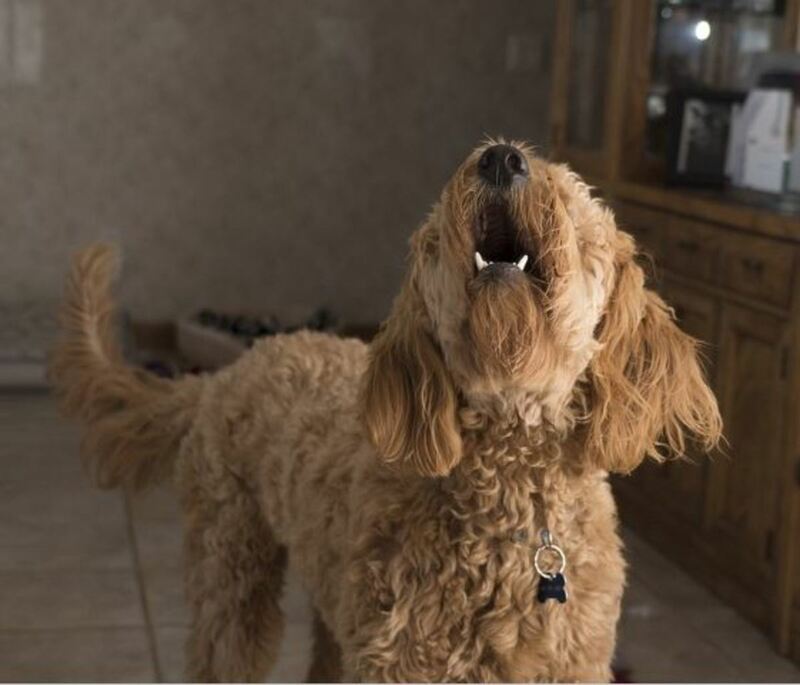 Some dogs can be quite selective, barking only at the sight of animals or at the noise of jingling tags from a dog's collar, while others just seem to find their own justifications for barking at just about anything. So how can you enjoy your favorite TV shows again without having to switch the channel to a boring soap opera? First of all, before tackling the problem, it helps to understand how dogs perceive the TV. Interestingly, there are variances based on the type of TV model you have and even the country you live in. For instance, consider that televisions are primarily designed for humans who are capable of discerning flickering movements at a rate of 50 to 60 hertz. Dogs are capable of discerning flickering movements as high as 70-80 hertz. What does this mean for Rover? It means that if you're sticking to the older television sets, specifically those with cathode-ray tube (CRT) screens that were popular decades ago, your dog will be dealing with a flickering nightmare. If you have a television using the newer LCD technology, your dog will thank you because these TV sets have a refresh rate of anywhere from 100 hertz and up. The country in which you live in can also have an effect on how your dog perceives the TV based on what type of system is used. Why Are Dogs Attracted to the TV? It can't be ignored that, with the advent of newer technology featuring digital televisions and flat-screen televisions, there has been a growing number of dogs watching TV. This predisposition is so significant that even a TV channel was crafted for dogs. Introducing Dog TV, the first TV channel designed exclusively with dogs in mind. But what makes dogs so adept to watching the TV? From an evolutionary perspective, dogs are designed to be attracted by movement and certain visual images. It will, therefore, draw dogs to the TV. Your dog may not be interested much in static images, but as soon as there is movement, that might likely grab your dog's attention. How do Dogs See the T.V.? 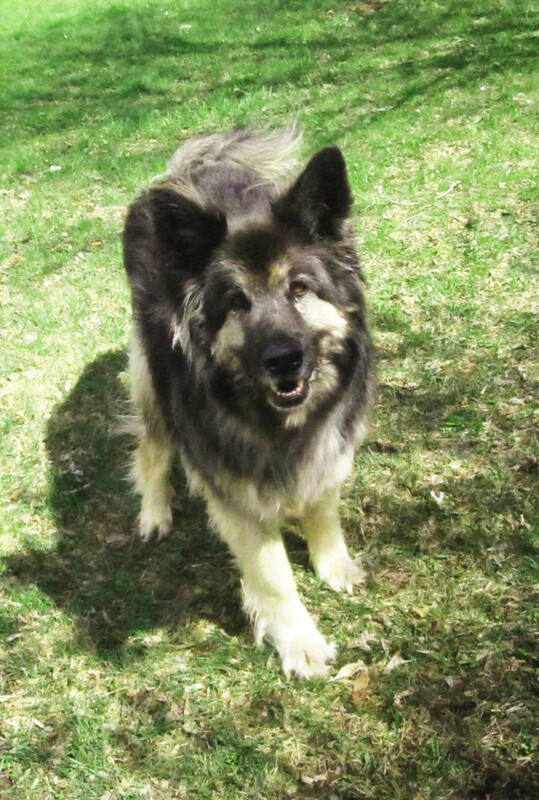 Even though a dog's color vision is inferior to ours, they are advantaged in several ways. We humans have three types of cones which allow us to see red, green, blue, and yellow, while dogs are dichromats having only two; they are capable of detecting only blue and yellow. With their eyes located more on the side of their head, dogs have better peripheral vision, and when it comes to detecting movements, dogs win. Dog eyes are blessed with more rod cells in the retina compared to humans, which makes them particularly adept at detecting small movements at great distances, even in dim light. Sighthounds in particular, are very adept at detecting movement, courtesy of their retinas lined up with ganglion cells (visual streak). What happens exactly when dogs detect movement is quite fascinating. Apparently, a dog's brain circuit fires the moment it notices the motion of another animal across the screen. 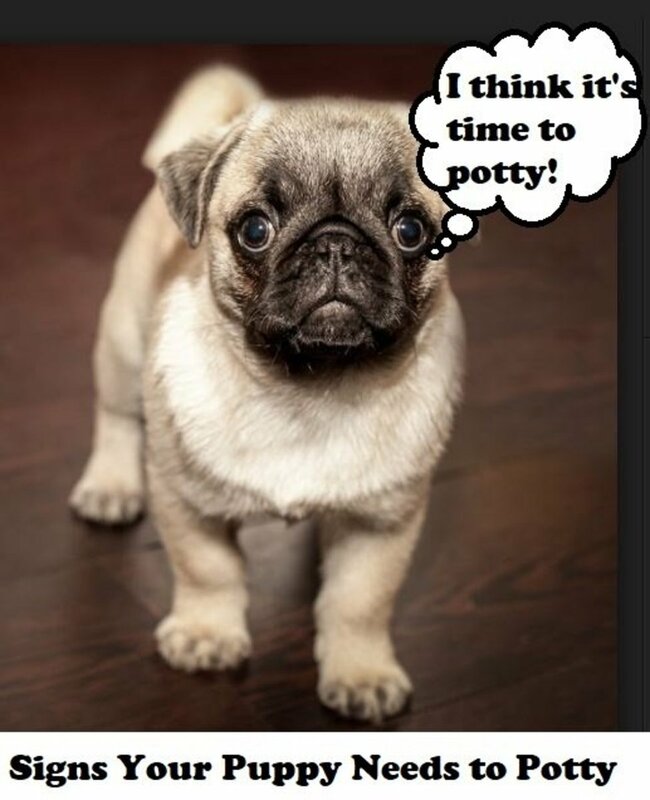 And this is something that is instinctive, as their brains are patented to respond to such visual stimuli, explains Clive Wynne, psychology professor and Director of Arizona State University’s Canine Science Collaboratory. On top of movement, dogs are also drawn to sounds. Many dogs come running to the TV barking when they hear the jingling noises of dog tags or a dog panting from a distance. 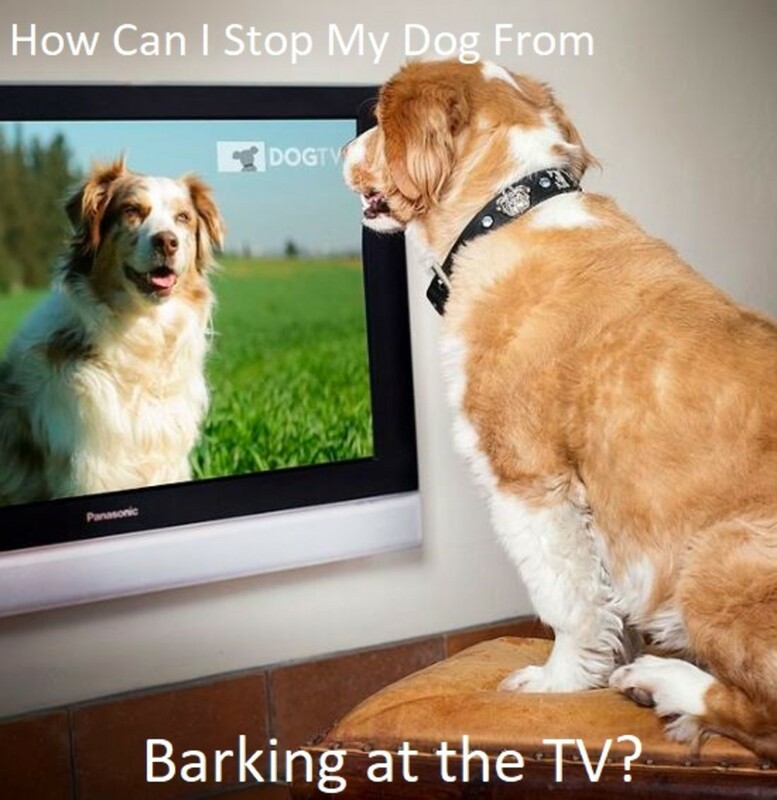 Why Do Dogs Bark at the TV? Dogs are drawn to the TV due to visual and auditory stimuli—maybe not all dogs are attracted, but many are according to what dog owners attest. What makes them bark at the TV in the first place? Understanding the reasons why dogs bark at the TV can better help us find solutions to the problem.The following are some possible causes, and in some dogs, it might be a combination of them. Of course, until dogs can talk, these are mostly speculation. As seen above, dogs are drawn to the TV because of the movements and sounds produced, but what about smell? 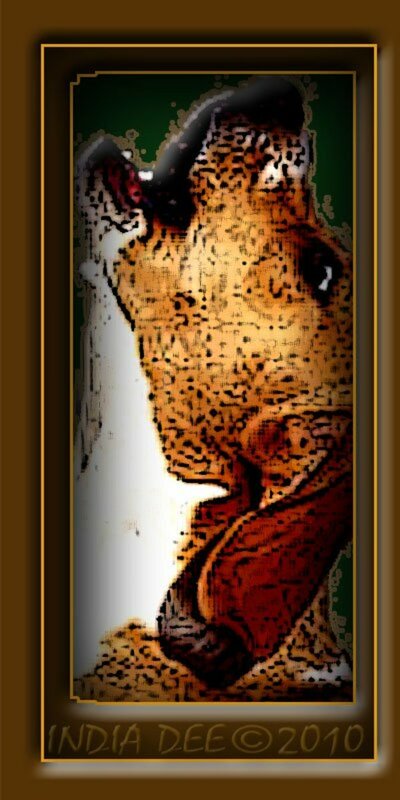 We all know how important smell is to dogs as they live in an olfactory world. Things can get quite puzzling to dogs when they detect movement and hear dog tags on the big screen, but yet, there is a total lack of smell. Some dogs even manage to run around the TV in search of the "mysterious dog" hiding behind the box. This can all lead to barking and jumping at the TV, in hopes of generating a response. These dogs are simply seeking more information, explains Aaron McDonald, an applied canine cognitive behaviorist. As mentioned, dogs are attracted by movement and that's often what makes them interested in animal documentaries. Predatory drive may be stronger in certain dogs selectively bred to hunt or work with livestock such as retrievers, collies, terriers and sighthounds. These dogs may get frustrated when they detect movement and are prevented by chasing and this can trigger barking. Some dogs bark at the TV because they are anxious about certain triggers that are featured on the big screen. For instance, if your dog is dog intolerant, don't be surprised if he barks the moment he hears dog tags jingling on TV or if your dog gets anxious or very excited by guests. He might bark when he hears a doorbell on TV. (Side note: advertisers might be aware of dogs reacting to doorbells, and use this strategy to grab attention of owners as well). Having the TV on a high volume can make these noises more salient to dogs which makes them more likely to bark and react. If your dog receives little exercise and mental stimulation during the day, he may be getting it through the TV. No, it's not like he is really enjoying watching Star Trek, he is just barking and acting frantic because he has nothing better to do and needs to find a way to get rid of excess energy. If you lead a busy lifestyle and your dog is very active when you come home, you may want to relax in front of the TV with your remote in your hand, while your dog is instead eager to do something. When these two different lifestyles clash against each other and don't match up, dogs end up performing undesirable behaviors and since there's little to nothing to do, barking at the TV becomes by default a bored dog's favorite activity. If you work long hour shifts and your dog has been left alone for a good part of the day, he may be desperately craving attention. When dogs crave attention, just as with kids, they may enjoy any type of attention. Attention may include the positive type (laughing when he barks at the TV), or the negative type (scolding the dog). Your attention-seeking dog may, therefore, decide to engage in behaviors that grab your attention and get you to look at him, talk to him, and even scold him. Some dogs may start chewing on shoes and pawing and/or barking at the owners as means to gain attention. Some may choose to bark at the TV if that's what gets you to move your eyes away from the screen and pay attention to your dog. If your dog reacts to dogs barking on the TV, yet he is a very social fellow at the dog park and doesn't react to dogs on walks, chances are, his barking at the TV is the result of social facilitation. Behaviors that fall under social facilitation are those that are influenced by the presence of other dogs. 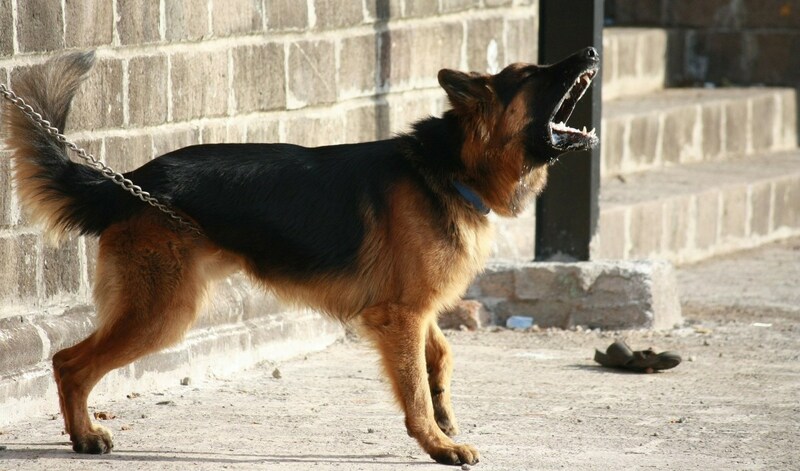 Dogs, therefore, start barking or howling when they hear other dogs. 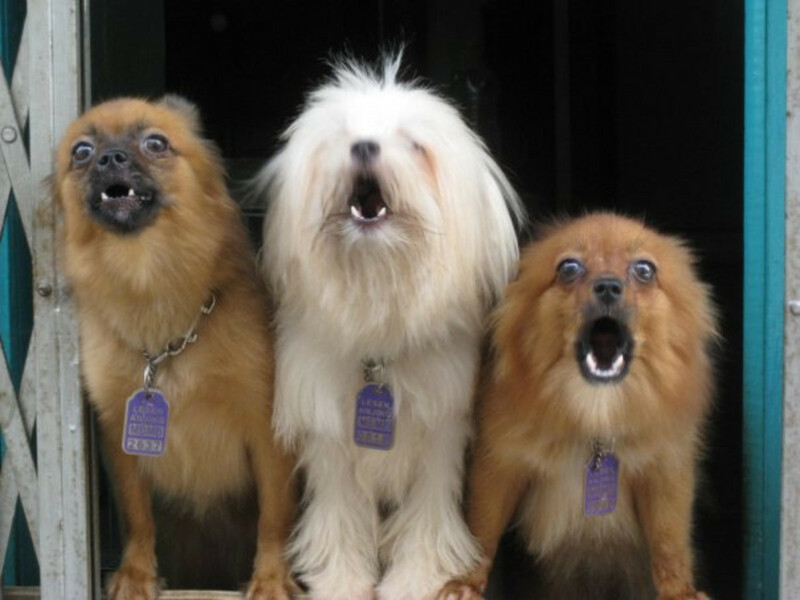 Dogs fearful of noises also calm down if they see other dogs acting calmly. It's very important that you avoid using aversive techniques that will only heighten your dog's anxiety. Using a air horn may sensitize your dog to loud noises making him more fearful and spray bottles risk teaching dogs to fear water associating it with punishment. Scolding the dog can make the dog fearful of you, when instead you should be trusted and provide guidance. Now that you are aware of several reasons why dogs bark at the TV, you may be interested in learning more about ways to keep dogs from barking at the TV in the first place. You may need to try different approaches and find which one works best for your dog based on his temperament/personality or you may likely use a combination of these. Before even starting anything to get your dog to stop barking at the TV, it's important to cater to his needs. Walk your dog before you plan to watch your TV show and then play some engaging games that keep him busy such as a game of structured fetch (where he sits before you toss the ball. When you do this, you're using the Premack Principle by the way), or keep him busy with some fun training sessions. Do this about an hour before watching TV. This will help your dog succeed, as your dog may need to release some steam which will help him be more relaxed. This will also pave the path to a routine where watching TV translates into relaxation and winding down time. Here's an important fact about dogs: generally, the more they rehearse problem behaviors, the more these behaviors intensify and put roots making them more difficult to overcome. So if you need to watch a show that you know will evoke a barking frenzy, you are better off putting Rover in a crate or playpen away from the TV or in another room to enjoy a stuffed Kong or some other safe, long-lasting goodies. Your dog, of course, doesn't have to be secluded in isolation in the farthest room of the house or in the garage or out in the dog house. Instead, try to find a distance from which he is less likely to react and give him something fun to do while he's there so he doesn't get bored and perceive being crated as punishment. This, of course, is just a management plan, while you buy some time as you make future plans to start working on the problem. Desensitization is a behavior modification plan that entails offering less intense versions of the trigger so that your dog is under the threshold. This means making the sights and sounds emitted by the TV less salient so that your dog can better cope with them. If your dog is reactive towards noises emitted by the TV, lower the volume a tad bit. Ideally, your dog should still be able to hear the sounds, but they should not be so salient as to evoke the barking. This may take a little bit of experimenting, but it can be tricky as dogs have sensitive ears, and may still be able to hear and react to the most subtle sounds. Investing in some headphones so that you can still watch your shows initially may help. If visual stimuli get your dog barking, keep your dog at a distance from where he doesn't react or reacts considerably less. You might have to keep your dog leashed to you initially as you are sitting on the couch. Most dogs are reactive to both sights and sounds, so distance and lower volume can help lower your dog's threshold. Make Great Things Happen "Treat the Trigger!" 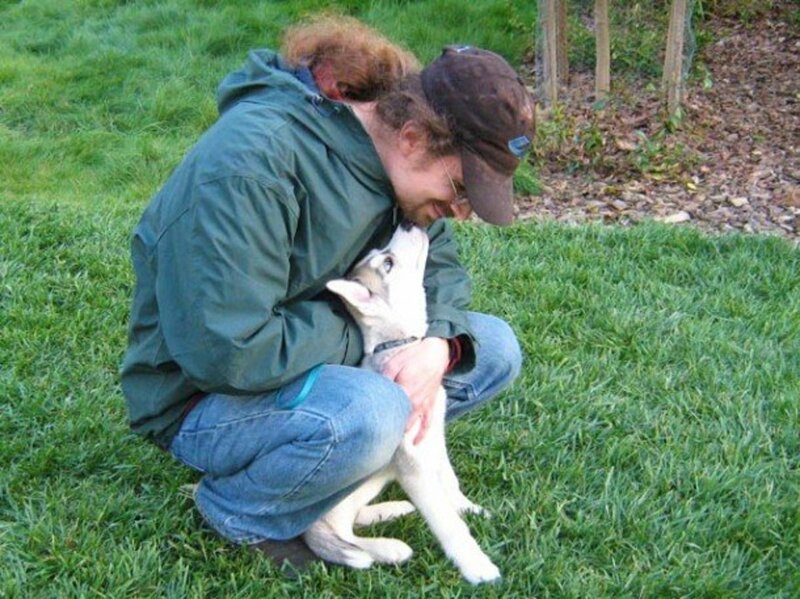 On top of desensitization, you want to start working on another behavior modification method known as counter-conditioning. I like to call this game "treat the trigger" as your dog gets a tasty treat every time his trigger pops up. You can start practicing this exercise when you know a show that makes your dog react is about to be aired. Arm yourself with the tastiest treats your dog adores cut into bite-size pieces (or a portion of your dog's meal -kibble in this case- if that's what he likes) and place them in a treat bag. Hold several of them in your hand so that they're ready as needed. The moment a trigger pops up on the screen before your dog has a chance to react, make a smacking sound with your mouth and toss a treat. Repeat, repeat, and repeat several times. Soon, your dog will make the connection and learn that when his trigger pops up on the screen, he will be getting tasty treats! This fun game allows your dog to, therefore, engage in an alternate behavior other than the barking. On top of that, he gets a nice exercise workout as he gets to chase the tossed treats so that you can cater to his predatory drive in a more productive way too. If you want to add a bit of operant behavior (get your dog to do something), at some point, you can make your smacking sound upon his trigger pops up on the screen and ask your dog to sit, lie down or perform a trick before you toss the treat. Another option is to teach your dog to stay on a mat and keep quiet while you watch your favorite show. Simply place a mat at a distance from the TV, preferably diagonal to it so that it's out of your dog's direct vision. Every time a trigger pops on the TV, say "mat" and toss a treat /piece of kibble on the mat. Repeat several times. At some point, say "mat," and point at the mat before you toss your treat on it. 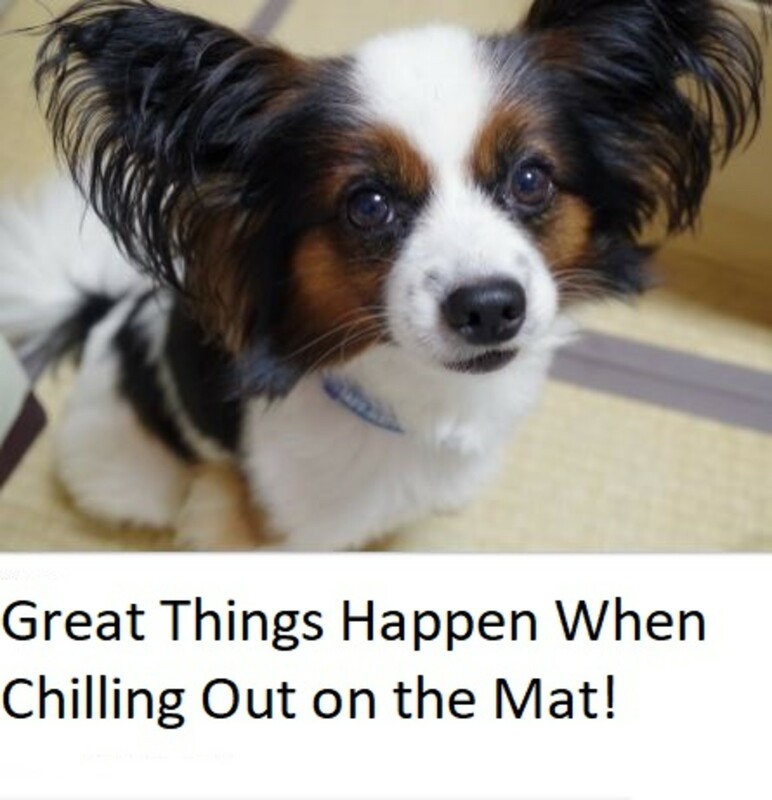 If your dog goes on the mat, then jackpot! Toss 2-3 treats on the mat. Repeat this several times. What you are trying to accomplish here is getting your dog to go on the mat without seeing the treats land there first. He has to learn to go on the mat with the promise of treats coming only seconds later once he's on it. Finally, on a day that your favorite TV show is on and you want to watch it in peace, tell your dog "mat" and point at it, and then, give your dog a long-lasting treat such as a stuffed Kong or a bully stick so that your dog is kept occupied while you are watching your favorite show. Below is an easy demo on how to train your dog to go to his mat. 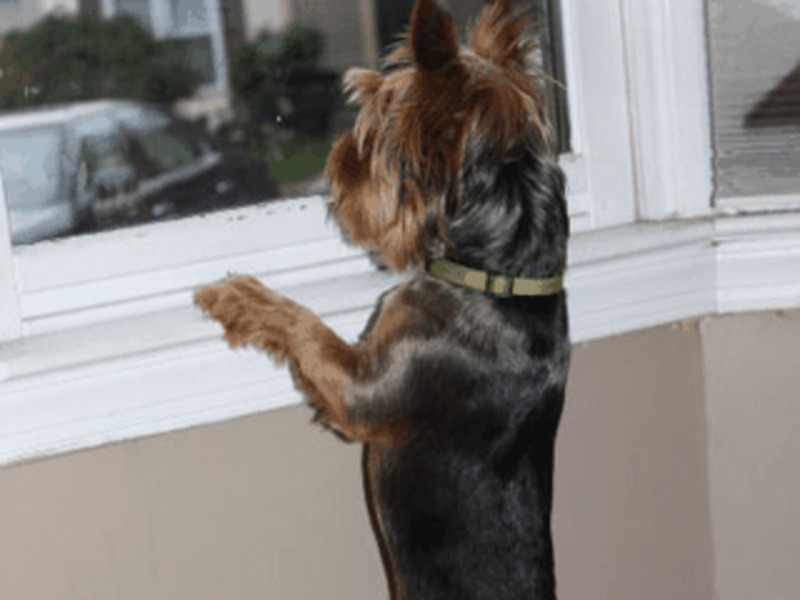 Does Your Dog Bark at Doorbell Sounds or Other Sounds on TV? Want to train your dog to not react to certain TV sounds, but yet the show he reacts to won't be aired until next week? No worries, there are plenty of videos and options for you to practice with. DogTV, for instance, offers an Exposure segment just meant for you to practice helping your dog adapt to certain sounds. Youtube has a nice library of sounds meant to help your dog in the desensitization process, too. Make sure though to start with low volume and keep your dog under threshold!